Whenever I look at a piece of jewellery set with Ruby I am fascinated at the splendour of the red Ruby, but also other colours this stone can be found in. Why should there be only one true ruby colour, namely pigeon blood red, which is coveted above those others that had the misfortune to be formed in a different range of colour. I decided to write this article after reading a story experienced by our friend Gavin Linsell (author of the “World of Gems” a book included with every first purchase at Rocks & Co). It tells the journey of an American who travelled to Thailand to buy the best possible Ruby for her granddaughters. For many months before the trip, she had studied this precious stone and researched what colour is the most beautiful. Upon her arrival in Thailand, she toured the sellers continuing to gather information to be sure she found the perfect stone. When she met Gavin, she had already made her decision about which colour was best, but once the polished stones in her hands the woman doubted her choice and anxiously asked if these stones were really the best. By trying at all costs to find the best Ruby, she had forgotten to choose a colour that would please her granddaughters! So regardless of what we are told by experts is the ‘perfect colour’, the real perfect colour is the one that you love the most, it is a matter of personal taste. 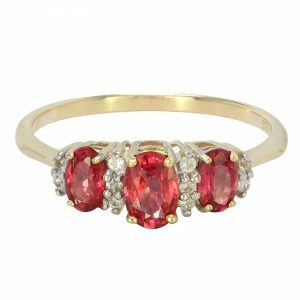 Ruby offers such a rich and surprising range of red tones it would be a pity to limit your choices by a set of expert criteria. So we will swim against the tide of expert advice and let’s explore together the wonderful world of rubies. Of course, “pigeon blood red” is a beautiful hue, but why should there be only one ideal colour when choosing a ruby? To get an idea of the range of colours ruby can offer, lets first look at our inventory to see the richness of colour possible for this ‘queen of gems’. I often look at our product photos online, but seeing these gems in natural light is always a very rewarding experience. I chose to photograph a set of rubies from different origins to observe them next to one and other. As expected, these rubies suddenly appear quite different. What colour do you think is the most beautiful? I have found my favourite but is it the same as yours? The variety of different hues is not surprising when you learn that Ruby has a pleochroism (displaying different shades at different angles). So we have the famous Ruby red, some with orange hues, some with a red-brown colour or pink and then a distinct purple colour. This secondary colour is always present and can constitute up to 20% of the gems colour – so it cannot be ignored! 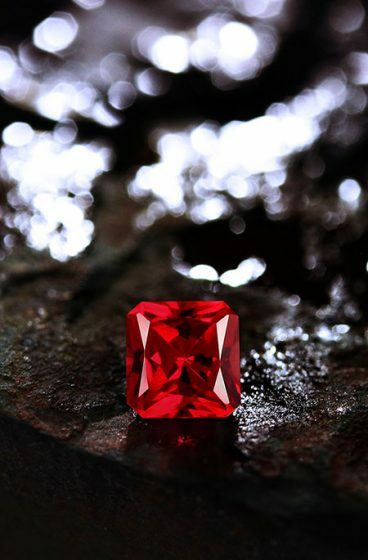 In contrast to colour, experts agree unanimously on the optimal brilliance of a Ruby. The more radiant and transparent a Ruby is, the higher its value. Rubies are type II gemstones meaning they inherently contain some inclusions. The less inclusions a stone has, the more transparent and luminous it appears making it all the more rare. But please do not be hasty in your evaluation of a ruby. Inclusions are a natural phenomenon and can give a stone a unique, distinctive and individual touch. If well placed on the stone and in a nice, discreet shape, inclusions can even be a great asset. Even Gavin, incidentally, bought his wife a beautiful ruby with inclusions. 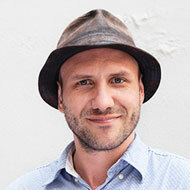 He is particularly proud of this stone, as the inclusions give the stone its identity, character and individuality. But just as with colour selection, this is subject to personal taste, and the assessment of inclusions remains a decision for the individual. Nonetheless, let me attempt to sum it up: a stone with not too many inclusions and a beautiful radiance and transparency is considered of the highest quality. In the glow of the night Ruby takes on another dimension. After dark, it assumes an incomparable glow making it perfect for gala evenings or night time events. It’s not surprising when you think about red carpets and movie premieres and how stunning a red evening gown looks, red simply is the colour of the night. Ruby is one of those stones that immediately attract the eye. 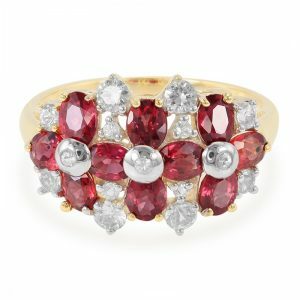 A beautiful ruby ring which adorns a hand will be noticed immediately for its charisma. The eye is drawn by a ruby necklace or pendant on an elegant neck or by radiant ruby earrings. Not surprisingly, Ruby is the stone of love, eternal passion and desire. It is this desire which leads you when buying a ruby. Buying a Ruby must be the result of a moment of joy and passion. When I talk to friends who have fallen for a ruby, they often speak to me of how unique their gems are, they finally owned this ‘queen of gems’ and especially cherish these jewels. To summarise, when choosing a Ruby you should look for a colour that suits you personally, a certain brilliance remembering that inclusions can give a gem its character and most importantly you must fall in love with the gem! This variety is characterized by an intense red glow, a pinkish tinge with some blue reflections that make it an exceptional stone. Over time, this gem has become an extremely rare, sought after and therefore an extremely expensive gemstone. 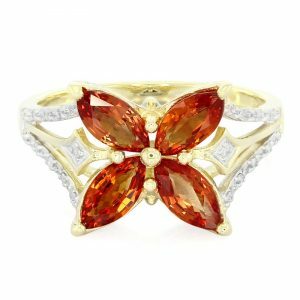 This Ruby is a delicate red with very remarkable orange tones. A balanced colour mixture results in a more tender and delicate stone with gentle, cinnamon and golden reflections –depending on the light. 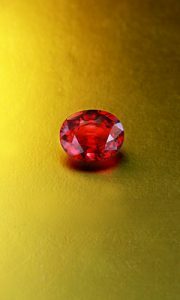 The ruby deposits in Sri Lanka are the oldest in the world. In general, the rubies from Sri Lanka are very bright with a pink to raspberry red colour. Ruby from Tanzania with its radiant, luminous and powerful red and its stunning blend of shiny pink and discreet shades of orange is the new star on the ruby market. This is my favourite among the many Ruby varieties. The Malawi-ruby is a stone with beautiful, deep red wild-berry tones and delicate discrete pink-violet reflections. Despite a few examples that show an intense red, Rubies from Madagascar are mostly a strong pink colour. For lovers of pink shades this variety of Ruby is a great choice. Usually these rubies have quite a lot of silk, another name for inclusions in a Ruby. This ruby from India is often found with a distinctive asterism. 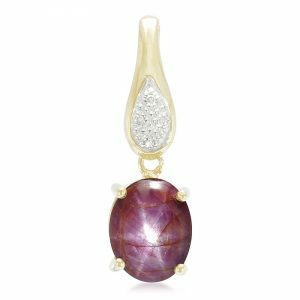 Lovers of exceptional optical phenomena in gems should choose this Ruby, its violet to dark red shades make it a captivating eye-catcher. Now, which of these Ruby varieties is your favourite?